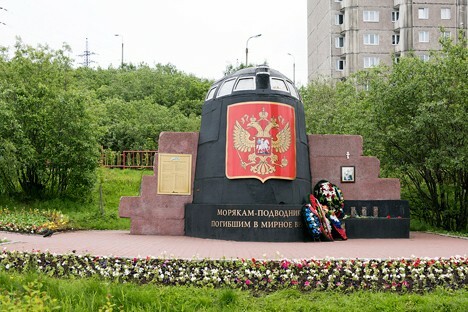 Residents of St. Petersburg have paid homage to sailors from the Kursk nuclear submarine, which sank in the Barents Sea exactly 17 years earlier. 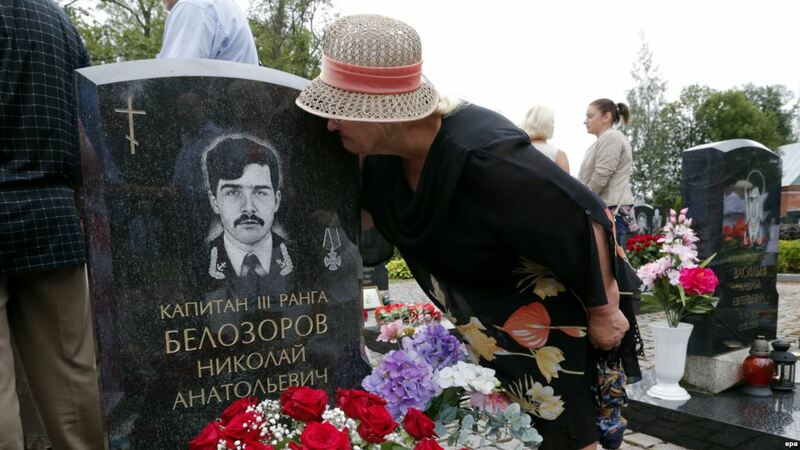 Relatives and friends of crew members gathered for a memorial service and a commemorative meeting on August 12 at St. Petersburg’s Serafimovskoye Cemetery. On Aug. 12, 2000 as a result of a catastrophe during a Russian naval exercise in the Barents Sea, the K-141 Kursk submarine sank to a depth of 108 meters. 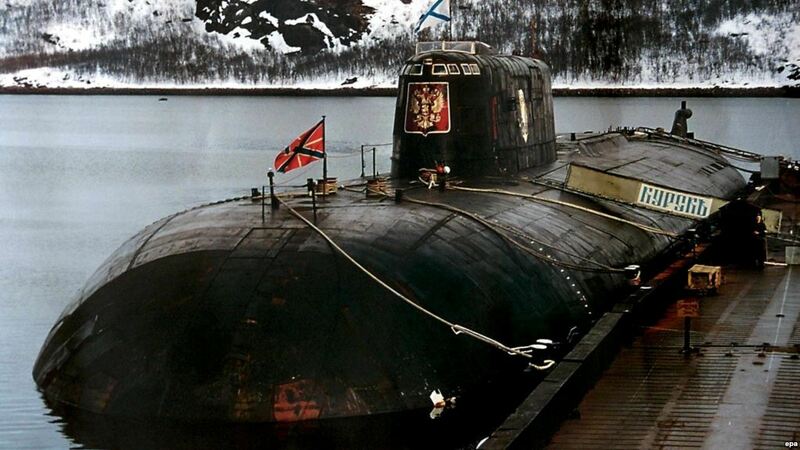 K-141 Kursk was an Oscar-II class nuclear-powered cruise-missile submarine. Its construction started in 1992 in the Russian city of Severodvinsk and was first launched in 1994. K-141 was deployed to the Mediterranean during the summer of 1999 to monitor the U.S fleet responding to the war in Kosovo. On Aug. 12, 2000 the first major Russian naval exercise took place in a very long time. 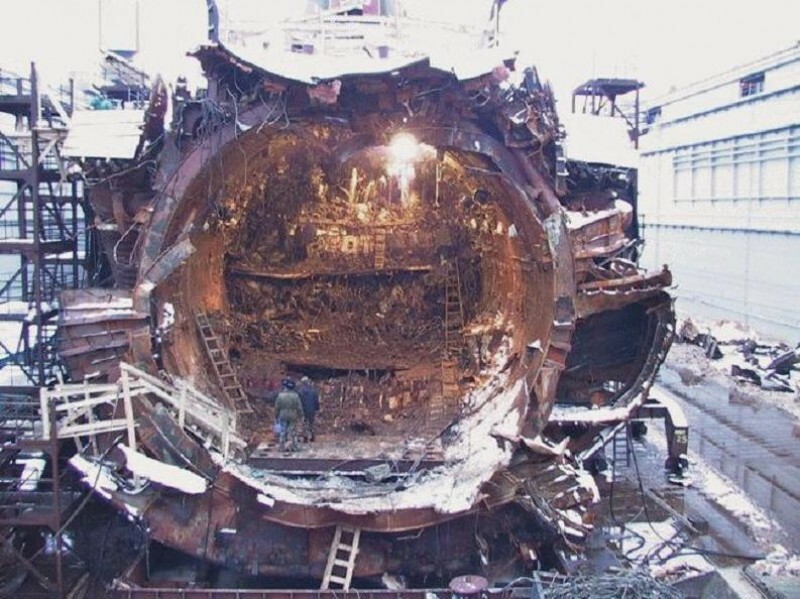 Kursk was loaded with 24 SS-N-19/P-700 Granit “Shipwreck” cruise missiles and 24 torpedoes. 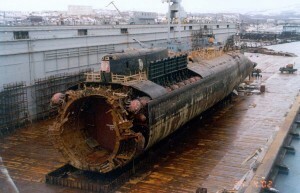 Due to faulty welding on a 65–76 “Kit” practice torpedo, an explosion of high-test peroxide occurred involving five to seven torpedo warheads, causing the sub to sink 175 km off the coast of Severomorsk. The disaster killed all 118 personnel on board, including the submarine captain Leonid Lyachin. 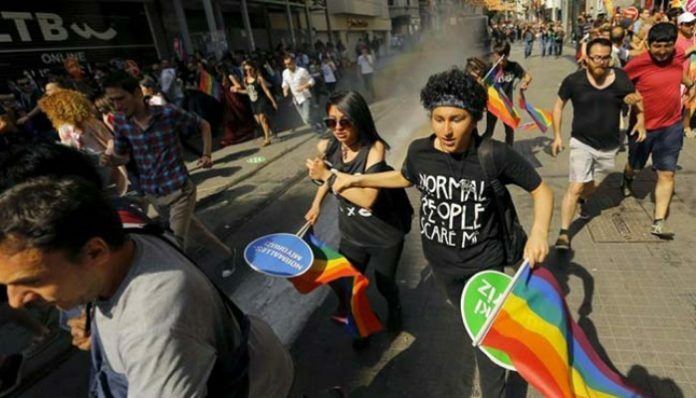 On Aug. 22, President Vladimir Putin issued an executive order declaring Aug. 23 a day of mourning. The Kursk was raised from the bottom of the Barents Sea in 2001.